To be honest neither one of us were very excited for the theme when we first heard it, as it just felt too open-ended and prone to blandness. 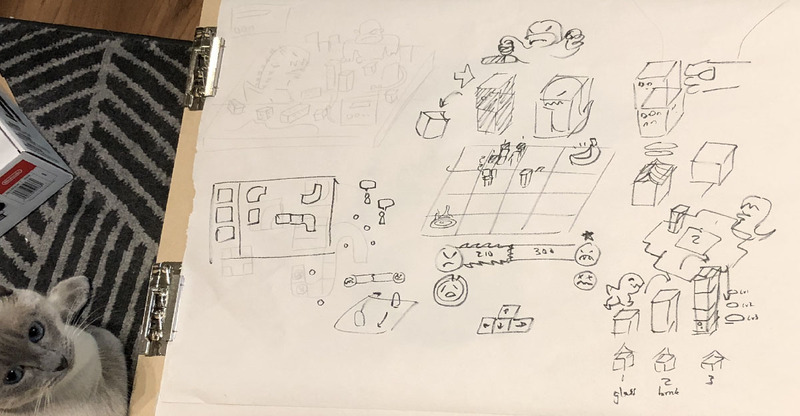 We sat down, sketched some ideas, and eventually had a toss-up between a restaurant sim/pipe-connecting puzzle and a city builder/city rampager. Typically, we would draw out a really rough paper prototype of the gameplay to get a feel for how the game will look and be played. When we found how much fun it was to think of monsters and destruction mechanics, we knew which idea was going to make the cut. Our developer, Strega, quickly built a rough playable prototype in Unity that we sent to our musician, Tenlki, and some friends who were also participating in LD. Together, we playtested and refined the gameplay even before any of the art went in, which was a common technique we’d use in past LDs. 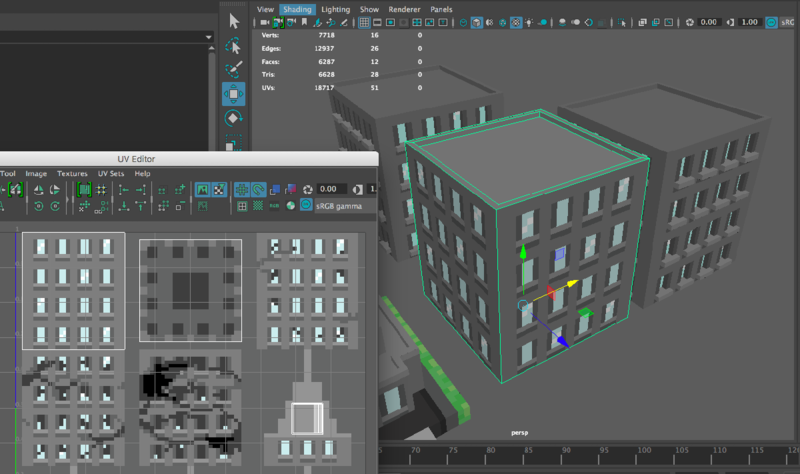 We decided on using MagicaVoxel for the art assets early on – I didn’t want to get bogged down with the nuances skinning, rigging, texturing, etc and all the 3D features that I’d commonly find myself losing too many hours in. Since my role also involves UI/UX, technical art, and asset implementation, I needed to make sure there was a balance. Though I’ve worked with MagicaVoxel in the past, I completely forgot that exported geometry was by no means optimized – each building part came out to be almost 3000 tris! Optimization is no small feat, especially with procedurally generated levels and a goal to have a WebGL build that can run on most browsers. Making the score bars represent the characters (fire beam and giant fist). We definitely need a single player mode! 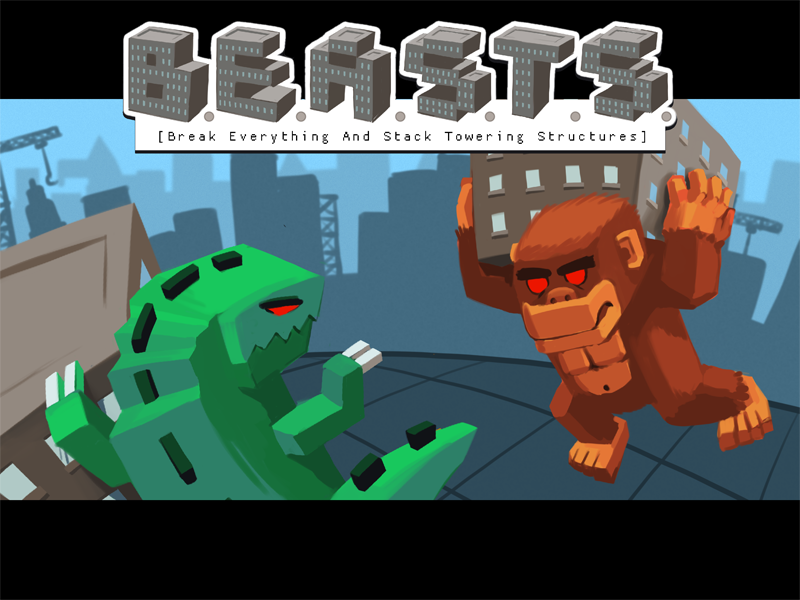 Some ideas include highscore, puzzle-based, or have AI players to compete against. Although we had a key reassignment screen, this was not immediately discoverable by many players. Maybe a help button in-game or a brief popup at the start of the first round will call attention to it. Alternatively, let people use controllers! More playable characters. 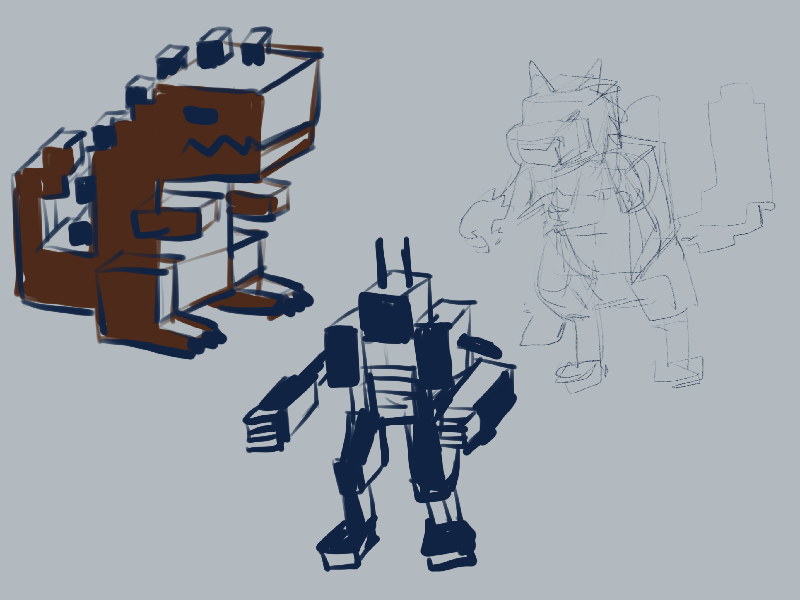 I had sketched out a mech and a giant wolf character but sadly they didn’t make it in.